You won't be disappointed with our vehicles! 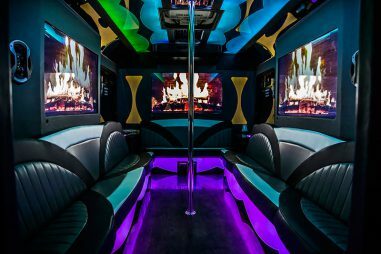 This limousine bus offers unlimited space for you and your friends to enjoy drinks, dancing, and all of your favorite music. 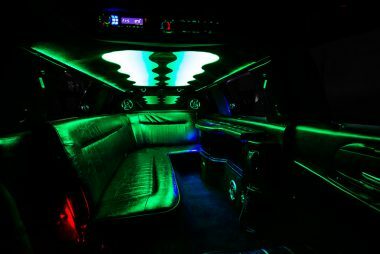 This luxurious stretch limousine is has a beautiful interior with ample bar space and gorgeous lighting. It's a great option for any event. 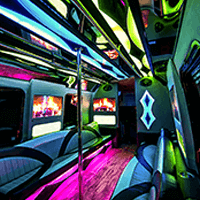 This mid-sized party bus is beautifully designed vehicle with breathtaking lighting effects, plenty of cooler space, and supple leather seats. We can service your get together, no matter what it entails. You can find even more information on our events page! 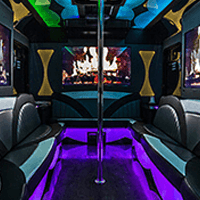 Limousine Bus Pittsburgh is a fantastic choice when you need transportation in the area, regardless if it happens to be a Steelers game, a wedding at The Mansions of Fifth, or a wild night out with some of your friends. When you ask around you'll find that we're most popular amongst the area, and we've been able to make a name for ourselves by providing quality transportation to each of our customers through the years. 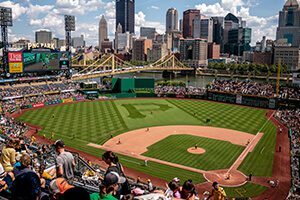 More importantly, we provide Pittsburgh residents an experience that they won't soon forget and peace of mind along the way. Don't you think that you and your friends deserve a night out on the town without worrying about who is going to be the designated driver at the end of the night? We're happy to be able to provide this convenience at an affordable rate. 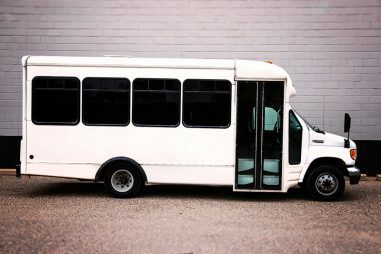 Don't worry about finding a special event to use professional transportation, as that simply isn't the case when you're looking to have a good time with your friends. Many of our repeat customers are groups of friends who enjoy just riding around town, socializing, partying, dancing, and having mass amounts of fun in our impressive vehicles! It's extremely true that you don't need an event to rent a limousine bus or limousine, as we'll show you a great time that's sure to bring you memories no matter where you end up going! You'll see exactly what we're talking about when you experience all of the modern features for yourself. The nature of your trip is up to you, as you can roll around town or asks our drivers about some of the most popular places to head to if you're short on ideas. Your block of time is completely yours, and we're ceratin you'll make good use of it. Quotes made quick and easy! Simply fill out our form below, and you'll be on your way to the most amazing chauffeured luxury transportation experience you've ever encountered! Be sure to fill out each field within the form, as each bit of information is necessary in obtaining an accurate price for the specific needs of your big day. Will you be our next happy customer? We sure hope so! 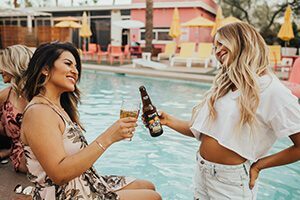 With a short call to one of our customer service agents, you'll be able to ascertain whether or not a Pittsburgh party bus is the right choice for your upcoming get together. We walk you through the details of your get together and then give you an accurate quote that is custom to your event. Be sure to let us know where you plan on going, when you might need service, how many passengers you will be expecting at your celebration, as well as the nature of your event. Our experience on the roads has made us leaders in the industry, and we are happy to count your event as our next successful run! If you ever need suggestions on where to go for a bar hopping trip through the city or a sightsheeing tour, we've got you covered! 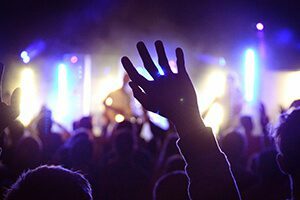 We'll be able to take you to spots like Beerhead Bar, Howl at the Moon, Jack's, Hough's, or any other venues you have in mind. Not to mention, attending a Penguins game is much easier with us along for the ride, especially when you consider the fact that you aren't going to have to deal with things like traffic and finding a parking spot. Tailgating is an elevated experience when you have televisions, stereo systems, neon lighting, dance poles, tinted windows, and shelter from the storm if there happens to be any inclement weather on the forecast. It took us a good amount of time to earn our long standing reputation! You'll remember your trip for years to come when you choose our services, as we give the same amount of special attention to a wedding as we do a night out on the town. When you consider our diverse fleet of vehicles and their affordable rates across the board, there's really no need to go anywhere else when you're looking for a local transport service that continously delivers on all accounts. 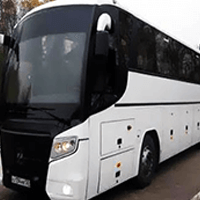 Our exciting features are always newly installed and up to date for your convenience and comfort, so sit back and relax at the sumptous seating found inside of the spacious bus cabins or turn up the music with subwoofer equipment. The possibilities are endless when you're with a company who has experience and the ability to adapt to any type of get together. Limousine Bus Pittsburgh has seen it all! Through every event, safety and your satisfaction are our two main concerns, which should especially be a great relief if you're reserving transportation for a prom or homecoming for your son or daughter and a group of young students. Regular maintenance and modern vehicles make for an unforgettable experience that is always in trustworthy hands. You can search for other companies that are as diligent as we are, but we think that might be a challenge. Our compassion is unmatched! We have friendly agents on the phones around the clock who care about making your event the best that it can be, so you can get in touch today whenever is the most convenient for you to get more information about what route works for you. We look forward to speaking with you. 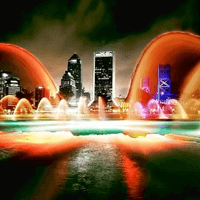 This city has a special air, and that has brought a strong industry of tourism for years. 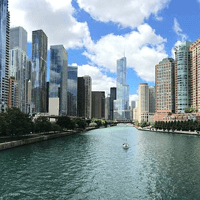 If you're looking to enjoy a sightseeing tour, we'll be glad to take you to the Carnegie Museum of Art, Andy Warhol Museum, all along the Strip District, as well as local festivals like the Wine Festival. 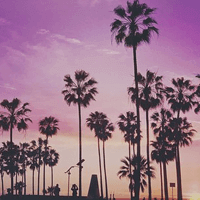 If you have a specific destination in mind, just let us know! We know how to give you a VIP experience.